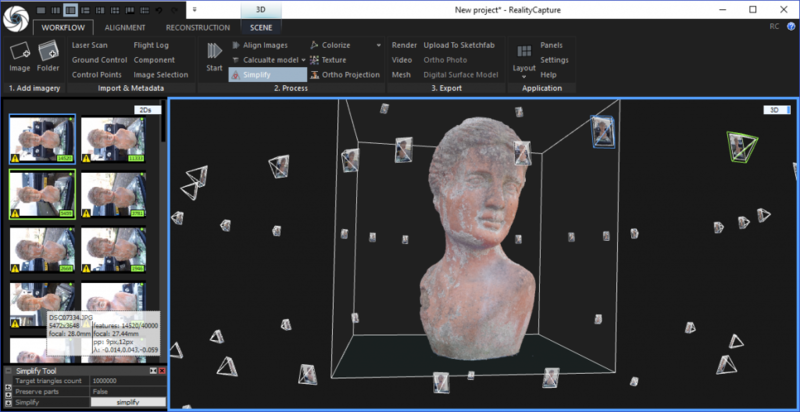 So it’s 2018 and you’re looking for free photogrammetry software for your smartphone to take your first steps into 3D Reality Capture without paying a penny? Well, the 3D Scan Expert hereby declares that you are out of luck. The world of mobile 3D capture is no longer free. Or is it? Read on and you might be surprised. 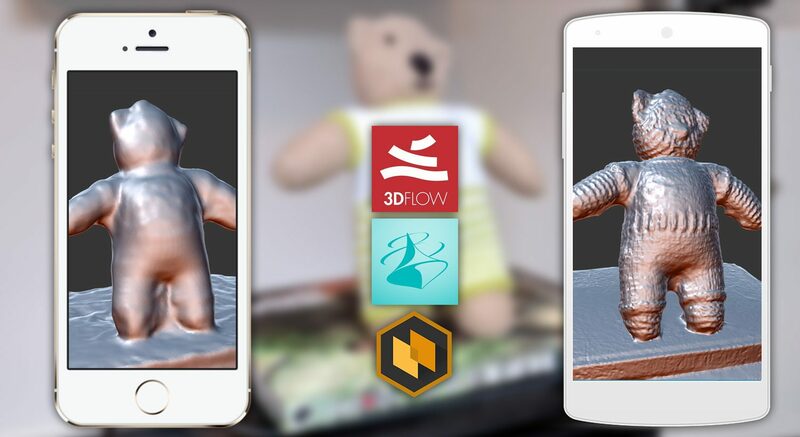 I originally published this popular post on June 30, 2016 when you could use 123D Catch on every mobile platform. But Autodesk decided too kill this popular photogrammetry app. In fact, it discontinued every free 3D capture app it used to offer, including ReMake (which is now called ReCap Photo and charged by a combination of subscription and per-project fees). Also gone is the web-based ReCap 360 interface (that even worked on Android). It’s truly missed by me and many 3D capture enthusiasts because it was so easy to use and accessible. This post originally also contained the Seene app. But this has been discontinued since it was acquired by Snapchat. It wasn’t really a full 3D capture app but it was fun, fast and free! Okay, you probably Googled “Free 3D Scanning Apps” and I can’t give you exactly that. What I can give you is either a workflow that’s completely free and largely mobile, and two apps that are completely mobile and very affordable. The 3 software solutions I discuss here all use their own photogrammetry algorithms so they all produce very different results. If you’re looking at the Sketchfab embeds above on a computer, keep in mind that you can view them full screen for better inspection. You can also view just the geometry by pressing the 3 on your keyboard and press 1 again to view the textured result. I deliberately chose to only include the result from a video result for 3DF Zephyr because it better compares to the automated capture mode of Trnio in terms of ease-of-use and speed. I used a 4K video and if your phone supports that high resolution (these do) you might have to enable it first in the settings of your camera app. If your phone only supports HD video the quality will be lower. And if you shoot separate photos instead of video the quality will be higher. It’s clear that the capture-on-mobile, process-on-PC methods currently gives the highest quality 3D models by far. And capturing works on both Android and iOS with the default camera app (essential tip: lock the auto-focus and auto-exposure!). Keep in mind that you’ll need to keep the video under 40-60 seconds because you can use a maximum of 50 photos in the Free version. The Lite version will give you ten times as much time or photos but keep in mind that processing will be significantly longer. Processing time and capacity also greatly depend on the specs of your PC. If really want to go completely mobile Trnio for iOS gives you slightly better geometry quality and Scann3D gives you significantly better textures. But you probably have either an Android phone or iPhone so it’s probably not really a choice. Scann3D’s Ultra quality only works on recent high-end smartphones but the High quality is pretty merciful. Trnio works on practically every iPhone but requires you to upload, download en wait in the cloud-processing queue multiple times which might be frustrating for some and is certainly recommended to do on WiFi. The Scann3D workflow has the least amount of hassle, because everything is simply done on the device itself. You can do photogrammetry with just your phone, completely offline (while your battery lasts). If only it had a cropping feature.. So there you have it: the only really free option isn’t an app but very nice PC software 3DF Zephyr that you can use to process the photos or videos (tip: set your phone camera app to 4K recording if it has that option!) you took with your smartphone. You can sync them to your PC using a USB cable or Dropbox or a similar service (do that over WiFi, because file sizes can be quite big). You do need a decent PC (as in: not a netbook) for that to work, specifically one with a good graphics card. Modern Nvdia gaming GPUs are great for photogrammetry. If you can still buy one, because they’re currently all being bought by crypto currency miners. The other two actual smartphone apps above aren’t free anymore. Trnio for iOS is now $0.99. Which is not really expensive but it’s not free. It still has some issues and is not being developed rapidly but for the price it’s a very polished app and currently the best mobile photogrammetry experience out there. On the Android side of mobile there’s SCANN3D which technically has a free mode with basic quality processing. But since that mode doesn’t allow you to export anything it’s really more of a demo than a free app. You’ll have to pay €5,99 a month or €40,99 a year to get the export feature, and better quality processing. Still, that’s less than you pay for watching Netflix. If you want to keep receiving updates about mobile photogrammetry solutions, be sure to follow me on your favorite social network or subscribe to my monthly newsletter below. *Full disclosure: I do get a small compensation if you decide to buy 3DF Zephyr Lite through the discount link I provide. Thanks for the article. Very informative! 1. Your description of the .TAR format is amusing and inaccurate. 2. You talk about logging directly into SketchFab from Scann3D like that’s a good thing, when it’s actually a potential security risk. You shouldn’t trust your username and password with 3rd parties. An API token is much more secure, as it offers limited access to your account and provides no information about your login credentials. I know about the TAR files, but that’s beyond the scope of this blog. Point is that it’s not consumer friendly. The same point is true for copy and pasting API tokens. If I want to connect my Zapier or IFTTT, I can also authenticate with a login popup. Of course you never enter credentials within the app itself: The API authentication is done through the Sketchfab website in a window. Exactly like any social network does it. Update: I’ve been in contact with the developer and the authentication method of SCANN 3D is absolutely safe—they don’t store or have access to your Sketchfab credentials. Do you know of any good 3D scanners that are somewhat inexpensive? Am looking for something portable too. Get back to me via email address on this. Really enjoyed reading your article above. Great reviews! Thanks. I think 3D posts should contain 3D embeds, not just screengrabs. I try to upload raw exports from every software I use to readers can actually compare models in detail. Thanks a lot for the great summary. We’d love to know what you think about Scandy. I’m on the list for testing the new Scandy app you’re working on. Curious about that one! There was a lot more info here than I had anticipated. I’m so glad you could share this with us. Thanks so much for sharing! I wonder if you get a better scan with an app like Agisoft PhotoScan? Believe its free for 30 days or to buy $179. 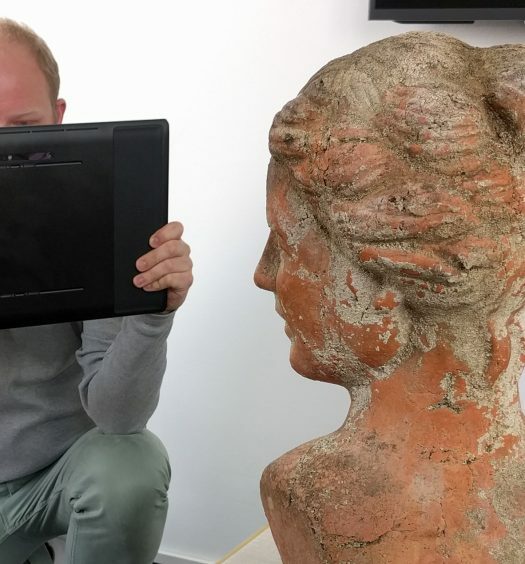 If your after high quality resolution (like human bust sculptures) is photogrammetry best over the the structure sensor scanner? You mentioned speed is a factor, with structure sensor being quite fast. The other factor is learning curve. My subject is in another city. If I asked a novice to take the 60 photos with general instructions using their iPhone 5s, send photos to me, and I import into the app, would the result be the same, or could it be even done this way. Sure would beat sending hardware (structure sensor) or having them maneuver in an app. Note: Seene has shut down their app/site as they were bought out by Snapchat in June 2016. Yes, you can get better results with professional software like Autodesk ReMake or Agisoft PhotoScan, and more control over the result. Photogrammetry is a bit tricky for human subjects if you plan to use a single camera. Subjects can’t stay still for that long. For this you can try to find a location with a setup with many camera’s that can capture a person in a split-second. 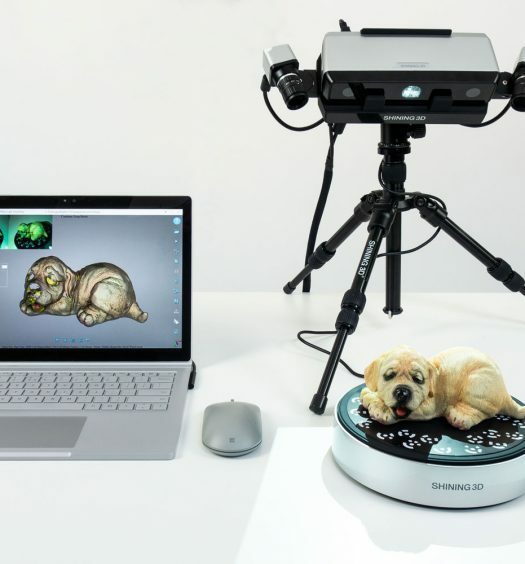 Scanning with a hand-held 3D scanner accommodates for slight movements, but the geometric detail you would get from an affordable scanner is a lot less than with photogrammetry. For comparable details, you will have to invest in a professional hand-held scanner like those from Artec or Creaform. The question is: do you need this amount of details. That’s up to you. Thanks for the note about Seene, will update the post! Thank you for your reviews, they are very helpful in a fast-changing field. I teach 3D printing at the university level and was using 123D Catch to demonstrate scanning, but it now seems to be entirely dead and off of the Apple app store and Android app store as well. It’s too bad, it was an amazing free product while it lasted. In my tests, Recap has not been as reliable for getting well-formed models and has a lower resolution than 123D Catch did for smaller objects (busts, small sculptures)., but I have not tried it since it became available to Mac, so back to experimenting! I worked with 123d Catch too, but now… all dissapeared: first the software, but now, also the mobile app! Has Autodesk substituted 123d Catch for another app? Have you experimented with Recap or other similar app? Are there any Apps which generate a 3d image with capturing 360 degree photo of us ? I’m not sure what you mean. Please explain. Your Autodesk Recap 360 Mobile Workflow Tutorial link seems to be broken. I’m getting a 404 error on clicking the link. Fixed. Thanks for the heads-up, Patricio! Thank you very much for the review, especially for keeping it up to date with the current changes! One thing I was wondering: Normally photogrammetry 3D scans lack accurate size information (correct?). I think this could be an obstacle for using it in an Augmented Reality solution for example a virtual try-on. Do you know of any photogrammetry 3D scanning app that addresses this issue in an easy to use way? While 3D objects made through photogrammetry are never super accurate, most software does use the EXIF info from the photographs like the Focal Distance to scale the 3D model to a practical size. For example, I scanned the same apple 5 times with photogrammetry for this stop motion animation (https://skfb.ly/ZSxE) and the difference in size of the 3D models was neglectable. I can imagine this will be less precise for large objects that are further away because of how cameras work. Recap 360 doesn’t seem to be available for free any more. Thanks for the heads-up, Carolyn. I’ll investigate and update accordingly. I have no problem going to http://recap360.autodesk.com , logging in with a newly created account and using the features I described in the post above and the one it links to. Not that I’m writing strictly about the web-based user interface of ReCap 360, not the desktop software called ReCap 360 Pro. Yes. I’m almost done with reviewing Autodesk ReMake which works on Mac and Windows. Follow me on social media if you want to know when it’s live later this week. I feel really glad and blessed to find a website especially concentrating on 3D scanning! I just started to dive into this field and am very hungry for knowledge! Thankfully you have written those articles to help me start and further explore. Thank you very much! I’ve been reading your articles these days and from this one I have a question: I know you’ve mentioned I should consider speed when choosing between a hardware scanner and a free app, but besides this my main consideration is about quality. Would the scanning results from these apps beat the ones created by the structure sensor, or iSense etc.? I’ve been actually looking at those and I can’t find so much difference. Could you give me any idea on that if budget is not a problem? I just want to get the best scanning quality possible. Should I still choose a device? While the difference with an expensive 3D scanner (like the Artec Eva or EinScan I tested) might nog be so big, the difference between an infrared depth sensor, like the Structure and RealSense, andPphotogrammetry is enormous — both the texture and geometry. 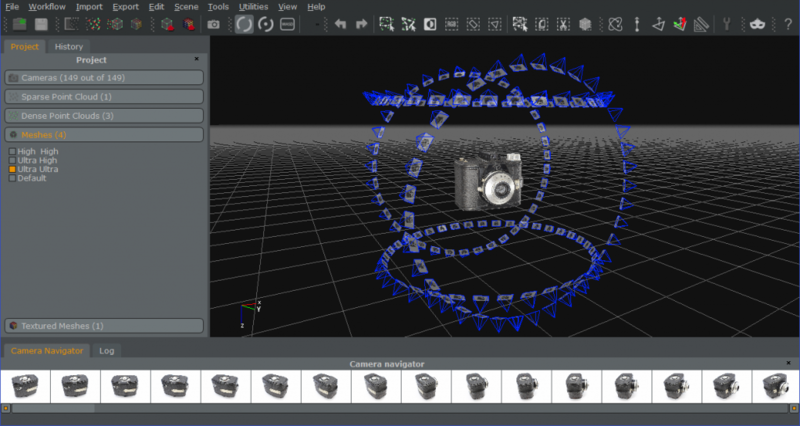 In the links below, click the gear icon in the bottom left corner and set the Rendering to MatCap to see the geometry without texture. To quantify: The first has 50,000 polygons and a single 2K texture and the second 2,400,000 and seven 4K textures. I’ll write a separate post about this subject soon. I am planning a birthday gift to a friend – a small scale art collector – and thought of giving him his own bust. So I am looking for something simple, which will allow me to scan (or take a bunch of pictures with my iPhone) his face, and upload it somewhere to have it 3D-printed. Hi, I bought a Sense2 and have been having great pains getting decent scans of technical items. People it seems to like for at least bust mode, but sharp edges and flat surfaces seem to be a challenge (dark or shiny objects also don’t scan well). I had similar results with 123d catch on my android phone too. I am a collector and historian of ejection seats so I am trying to create small models of the seats or their parts for teaching displays rather than dragging a 200lb seat around but have found it easier to generate much of the design work by hand. Given some devices are very complex it would be a great help to be able to scan them. Is there any scanner, software, or technique that you would recommend for more hard edged, often shiny black parts? Depth Sensors like the Sense 2 are indeed most usable for human-sized subjects. Shiny + Back is the worst combination for any 3D capture technology. Temporary matting spray can truly help here. Photogrammetry is good for organically-shaped objects, but not for flat surfaces and hard edges. Your best option would be Structured Light Scanning. But because of the size of your objects, you’re bound to Professional Handheld 3D Scanners. Those are getting more affordable, but are still a lot more expensive than depth sensors. I’ll be reviewing the newer EinScan-Pro PLUS and the recent software very soon. Thanks for the info., a structured light scanner seems out of my price range. I am pretty handy with tech and was considering buying or building a laser scanner. Do you think that would work any better? I also was planning on using the scanner for field paleontology. Haven’t had a chance to test that out though. I want to capture both Ears and recreate them using photogrammetry so I can print them out. This is for a project. 1. Which software you personally prefer for such capture and how many images will i have to click for that? 2. Will the model be perfect in its depth and feature capture? 3. Will photogrammetry work or should I use Scanners (I need precise depth features). Since you need precision/accuracy, a professional 3D scanner is the best way to capture ears in my opinion. Keep in mind that scanning the back of an ear can be quite hard, if not impossible, with some people. Can you recommend a 3D body scanning app, scanner, or mirror for a mom and pop brick and motar store that would like to be on the cutting edge of 3D technology, but does not have the same resources as a big box store. I am looking for a scanner that could give customers their measurements. We would then use those measurements to help the customer find the right fitting clothing for their body type. Any help would be greatly appreciated. Thank you for your post. It is very informative. I am wondering if there is any 3D scanning app that would allow volume calculation. The objects I will capture would be very simple ones with regular shapes. 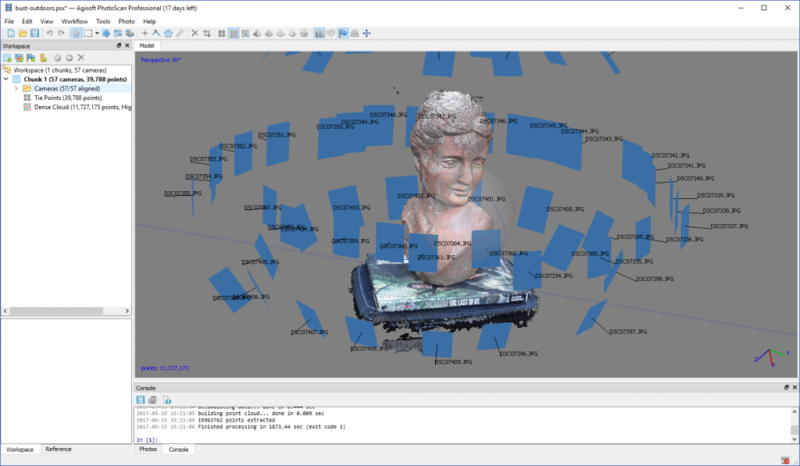 You can create 3D polygonal meshes with every 3D scanning app. Almost none of them have volume measuring built-in. But volume calculation can be performed in the free MeshLab software using this feature: Quality, Measure and computation >Compute Geometric Measures. Then look in the console window for results. Of course, the accuracy of this calculation depends on the quality of the scanner. An active light-based scanner will be needed for this, as photogrammetry typically doesn’t generate size-accurate results by default. I heard about some thing like a camera which can measure the walls that needs the kitchen cabinets to be install on it ,by 2D leaser sensor !!! ,then overture some kitchen plans which correspond whit the plan and then project it on the wall with real unit size and dimensions ,please help me to discover this so useful camera , 3D scanner or 3D projector or some thing like that too make an revolution in my work and professional life. Thank you all so mach. Hi, I am looking for some advice. I am hoping to build, as a surprise birthday present for a (chess loving) good friend, a chess set, comprised of 3d printed heads/busts of family (back row) & friends (pawns). This will need a total of 5 (him, wife, 3 kids) duplicated as king, queen.. etc) & 16 unique friends. I have tried android video capture & Zephyr, but just cannot get the whole head, despite many attempts. Can you suggest any updated new on Android photogrammetry apps, or a combination of apps & computer processing. As the busts will be printed relatively small, fine detail is not vital. Many thanks in advance. Scanning people is hard with photogrammetry. Be aware that you need good lighting and there cannot be anything moving in view, also not on the background. The 4K Video & Zephyr method is probably your best chance. If you have an iPad, buying a Structure Sensor will make this a lot easier. I’m aware of the new business model. I understand your frustration but to me it’s expected behavior that software is free when it’s in Beta and then paid-for afterwards. The developers need to make money somehow, right? The same happened with Autodesk Memento, which still had a free version when it became ReMake but now is totally paid-for as part of ReCap Pro. Which costs $40 a month, so the yearly fee you mention isn’t that bad I guess. Actually, none of the software in this post is free anymore. TRNIO also asks a per-scan fee. I’ll update this post very soon. I’m planning a new review of Scann3D (Pro) which will be published as a separate post soon. I’m actually interested in using a phone for 2D digitizing. I need to make a custom pick-guard for my electric guitar, and I want to digitize the existing mounting screw locations on the body of the guitar, as well as the hollowed-out sections on the body of the guitar where the pickups fit into. 3D scanning would work for this, but it is overkill. The CAD software that I use is OnShape, and I have brought in photos of mostly flat objects laying on graph paper of known scale, for scaling in OnShape, but it does have some inaccuracies. I would love to instead put some scale marks temporarily on the guitar body and use photogrammetry to get an accurately scaled 2-D image. Because pick-guards are essentially flat, all that I need it for is to make 2D sketch which can be saved off as a .dxf for use in an Epilog laser cutting machine. Any advice there? Seems like the embroidery hobby world might have something of use, but I thought I would ask here first. Hi Scott, any luck? I am in the same situation. 2d scanning a flat object to get a dxf file. I am still looking for the answer. Hey really interesting article, we work with Structure but its nice to learn about new techniques. Thanks, this is a very interesting article. I learned a lot. I’m working on an app for the latest iPhone generation that uses the time of flight capability to capture and build 3D models. Initial interest is around turning portraits with depth data into solid models that enthusiasts could download and print. It’s not at the point of photogrammetry yet, but initial testing looks like it could get there. The app is free to download and play with but has an upgrade fee if you want to export and print models. The app is called 3D ModelME and is available on the App Store . I personally have used it to make several things: busts, sample his and hers hearts, working on a Mt. Rushmore. I could see it being a stepping stone into some of the projects mentioned here like chess pieces and such. This is nice post.I want to capture both Ears and recreate them using photogrammetry so I can print them out. This is for a project. This for sharing this post. Thank you for these apps! If you are interested in developing an 3D scan app, I recommend you to look at the services Sidekick Interactive offers!